Current: Scott Snyder calls PLUTONA: "One of the best books of the year"
Scott Snyder calls PLUTONA: "One of the best books of the year"
Master storyteller Jeff Lemire (Descender, Sweet Tooth) and critically-acclaimed artist Emi Lenox (EmiTown) bring readers a heartfelt and heartbreaking coming-of-age tale exploring friendship and loss in PLUTONA, available from Image Comics this July. 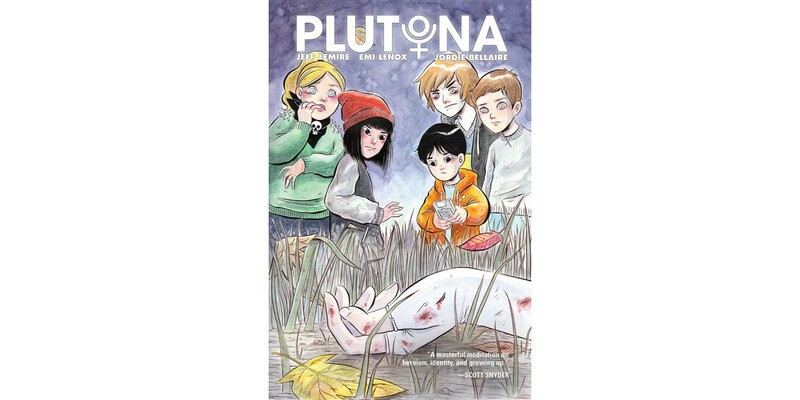 Five suburban kids make a shocking discovery while exploring the woods one day after school... the body of the world's greatest superhero, Plutona, laying dead among the mud and grass. This discovery sends them on a dark journey that will threaten to tear apart their friendship and their lives.